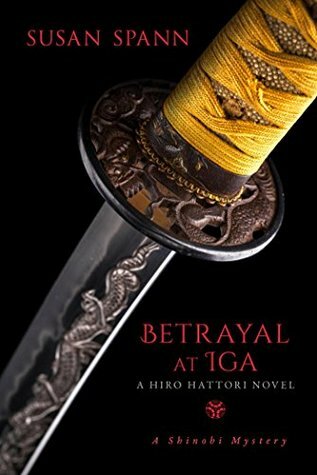 Betrayal at Iga: A Hiro Hattori Novel. Susan Spann. Prometheus Books. July 2017. 250 pp. ISBN #: 9781633882775. In medieval Japan, Hiro Hattori, the master ninja, and Father Mateo, the Jesuit and Portuguese priest are about to work together on a sensitive case. Father Mateo has been hired by a very important samurai lord, from the same ninja clan as Hiro, to protect Hattori. They travel together into the lands of that samurai lord and are invited to a welcome dinner. During that dinner, there is obvious enmity between the members of a rival Koga clan and Hattori Hanzo. Chaos erupts when one of the guests begins to get ill, quickly moves in seizures and dies after eating some of the lavish food they have been served. The atmosphere quickly becomes lethal and is slightly quashed when Hiro Hattori is given a few days to solve the mystery of the poisoner. The reader will become well-acquainted with the customs and rivalries of this 16th Century Japanese town. It is the era of the Shogunate and the competition is rife for this position, a never-ending war in a way as gaining the title of Shogun is no guarantee that one can hold onto it. The competitors are everywhere, both secular and sacred (Buddhist monasteries among the rivals). It gets to the point where even family must be watched as suspicious contenders for the prize and no measure is deemed prohibited to effect victory. Hiro Hattori and Father Mateo question the members of the Koga clan, Hiro’s own mother, a former lover and many more possible suspects. The Koga clan were to discuss and form a peace agreement immediately after that dinner, but the chances of that happening are slim indeed! Susan Spann has once again penned a captivating mystery, adventure story, and historical novel that keeps the reader captivated and guessing every step of the convoluted way to the bitter and surprising end! Recommended for all fans of mysteries and Japanese samurai fiction!